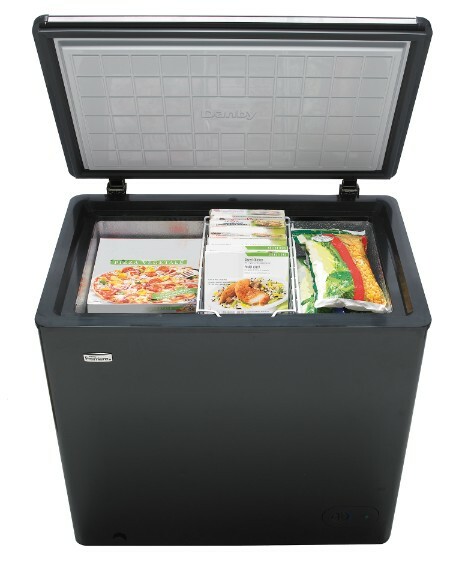 If you’re looking for a versatile and lightweight compact chest freezer then look no more. This exceptional model by Danby offers 5.5 cubic feet (156 litres) of freezer space and is designed to take up just a minimal amount of space. It’s the ideal unit for homes, offices, apartments, condos and cottages. The vinyl-coated basket allows you to separate your favourite and most-used food items while the interior liner has been specifically designed for easy cleaning. Your energy bills won’t shoot through the roof with this highly-efficient appliance as the cabinet and rounded lid are constructed with foam insulation to keep the cold in and the heat out. The modern mechanical thermostat can easily be set and monitored due to its front-mounted design and the convenient defrost drain makes maintenance a breeze. 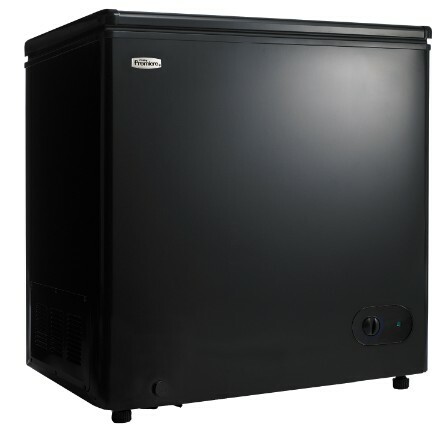 This stylish freezer also offers a 5-year warranty on parts and labour with handy in-home service.